It only happens once every 4 years, and the moment that has been building in anticipation over the last year is almost here. That’s right, it is almost the United States Election Day. This election season, the official presidential election day is on Tuesday November 8. Considering the increasing popularity of social media and the unique candidates, this election season has certainly been an interesting one. There have been hundreds of thousands of posts and blogs written on this subject. 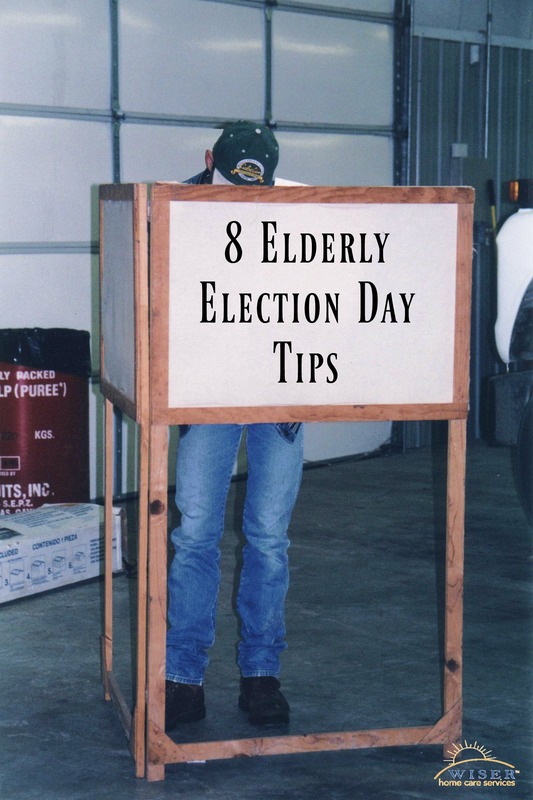 We thought it would be appropriate to explore election day tips for our elderly loved ones. Even though they have partaken in a number of elections in the past, a refresher course on election day tips can help ensure the voting process goes smoothly. We live in an amazing country where we enjoy many freedoms, including that of voting. Sure, you may think that a single vote may not help, but it does. According to a survey conducted by the United States Election Project, nearly 55% of all eligible US Citizens over the age of 65 will be voting in the 2016 Election Season. While this is the highest voter turnout for any age demographic, we can’t stress enough how important it is to cast your vote. To ensure you have a chance to vote, make sure you are registered. If you are unsure you are registered to vote, simply contact your local voting official and they will let you know. Do you know where to vote? If you haven’t already mailed in your ballot, make sure you know where you can vote locally before election day. Click this link and Google can help you find the closest place, based on where you are registered to vote. Many voting stations do not allow you to wear campaign clothes to vote. So make sure you dress neutrally on election day. In addition, make sure your elderly loved one is dressed appropriately for the weather and possibly long waits. In order to vote, many states require you to have a non-expired photo id with your name on it. If you are unsure of what is an accepted form of ID in your elderly loved one’s state, you can check here. Make sure you give yourself plenty of time to get to your local voting agency. Take into account traffic, agency hours and high voter turnout times. Many voting experts recommend voting in the mid-morning and early afternoon if you want to avoid a bunch of other voters. If you are suspicious of voter fraud or potential tampering, make sure you report your suspicions to the Election Protection agency. Their number is 866.OUR.VOTE. Finally, be courteous to loved ones and others who may be voting for your opposing candidate. Democracy is one of the many things that makes America a great place to live. If you have an elderly loved one who needs help getting to a voting agency, Wiser Home Care Services can help. Please do not hesitate to contact us.